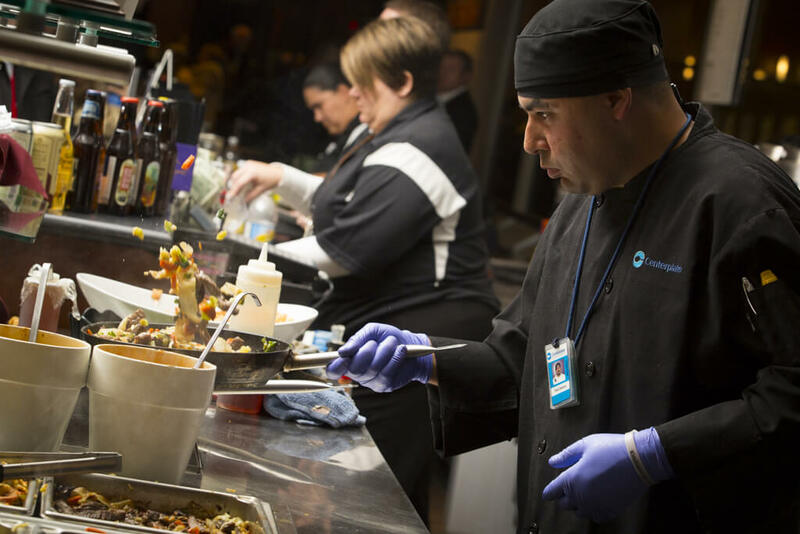 Centerplate, the in-house catering service of the Pikes Peak Center and The Broadmoor World Arena, offers concessions and beverages at a majority of Pikes Peak Center events. Food options differ by show but range from pre-packaged candy to Asian dishes cooked right before your eyes! Cash bars and alcohol are available for purchase as each event permits. Concession stands and bars at the Pikes Peak Center accept credit cards, as well as cash. 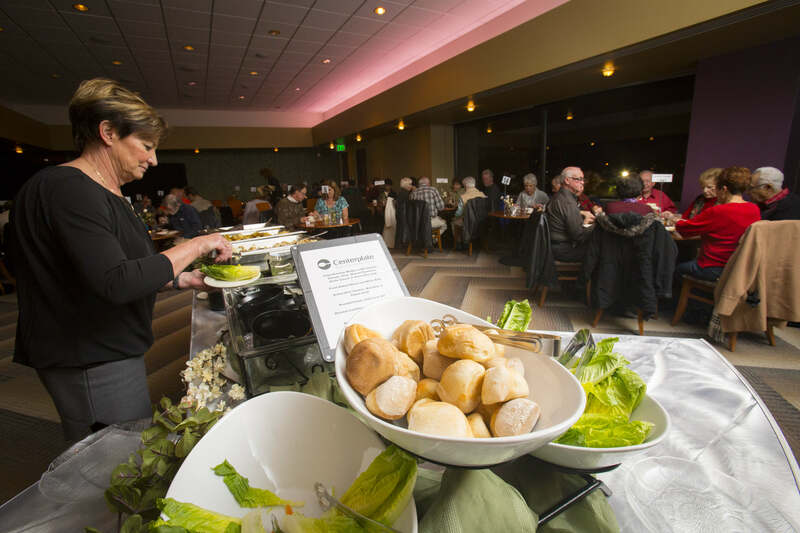 We offer pre-show dinners before many of our events.